Ok so starts another saga. Mag cylinder has over 125psi. It starts and pistion is moving in pto side. 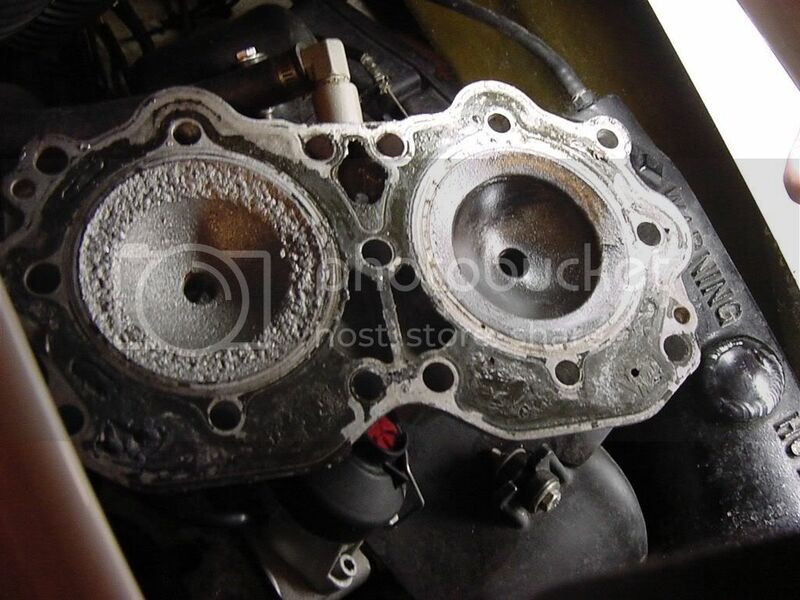 Pulled head and found the piston is hrmm how do i describe it.. MELTDOWN. I have to get a different hex bit to get the exhaust off.. But my plan is obviously to find what went wrong first. I didnt see the RAVE HOSES loose. Any water in the bottom? in bottom of case? Not sure yet have not gotten the jug/cylinder off yet. Yeah. The jug is going to have to come off anyway might as well take a look. My guess is : The ring on the rear piston got hot/ran lean mabey and cause it to come apart making the dents in the piston and head. 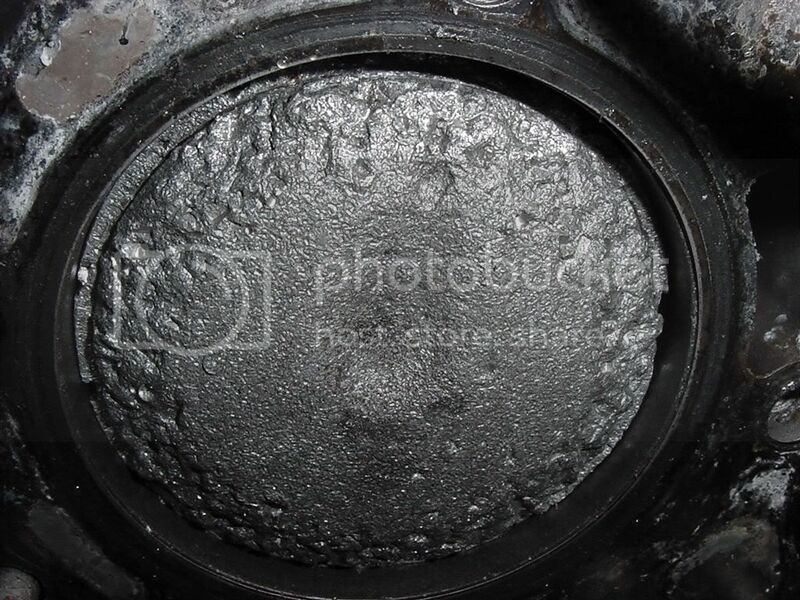 Looks like the other piston got plenty of oil wonder what happened. 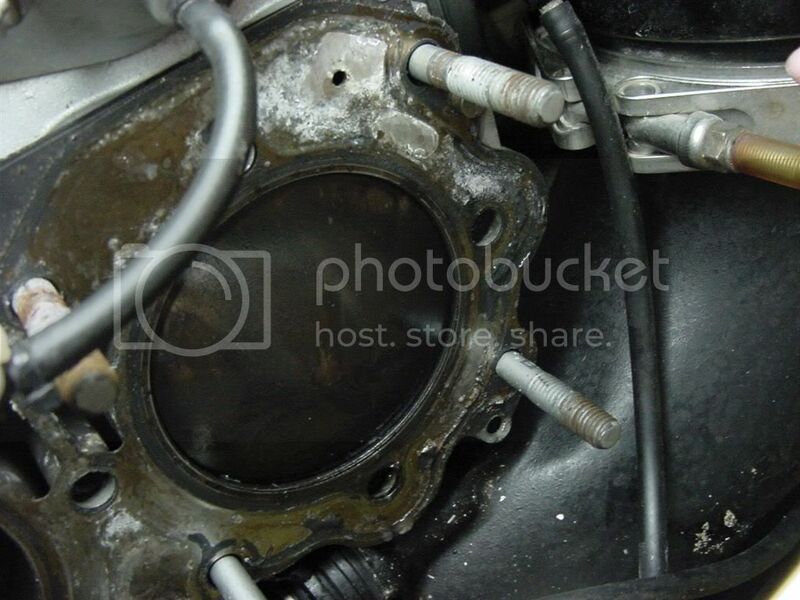 Looks like a cover on one of your carbs is off don't know if its supposed to be off or not. Anyone else got a guess? Yeah i pulled that rubber flap and the vent tube to the carbs off.. and thought hrmm better take picture so i don't forget how it was. Yep I do have the pdf 99 manual. Pulled the jug off this morning oh about 2am. HOw the heck can i get the carbs off.. those allen bolts holding the carbs.. one on the bottom is kinda at an angle when i put any 6mm allen into it. the mounting plate holding the 2 carbs together is in the way. Is there a special recommended tool. Plus the airbox, does it split? so it can be removed? I can't get it to move forward- back or up to remove it.. It looks like the carbs have to come out first. Is that right? not sure on a 951 but a 787 has slider parts on the air box. Check SBT's web site for their removal instructions should be in there carbs and all.